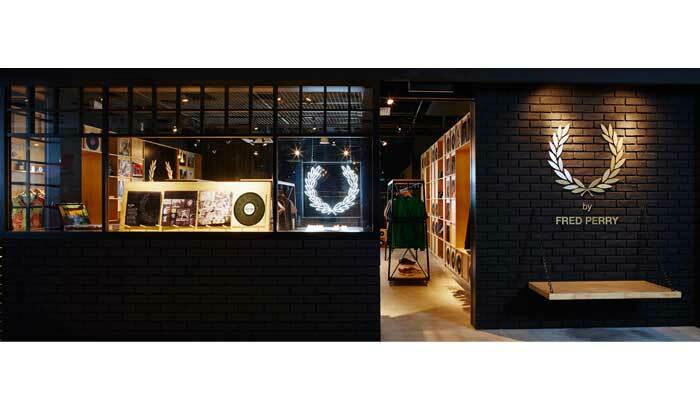 Connecting Fred Perry to its music heritage. 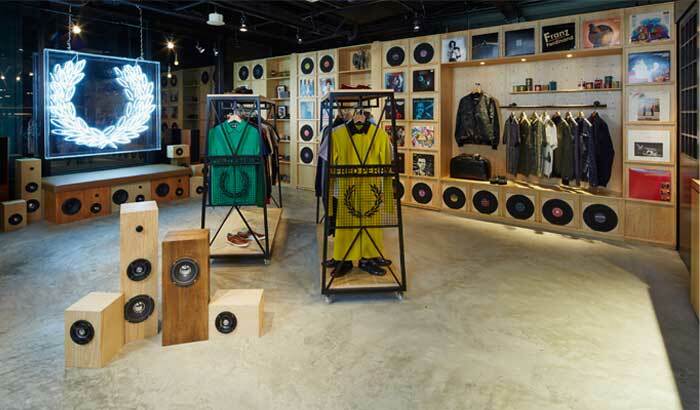 The all-new Fred Perry opened its doors in August at Mandarin Gallery, Level 3. 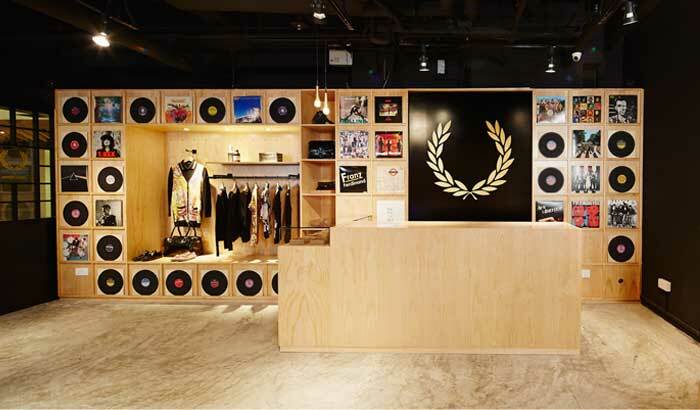 The interior space marks a first for the brand on a global level as it pays homage to the iconic Laurel Wreath and its enduring relationship with music and youth culture. Staying true to its English roots, the exterior is akin to the typical old English shop front, laid with textural black paintwork over traditional beading frames and brickwork. 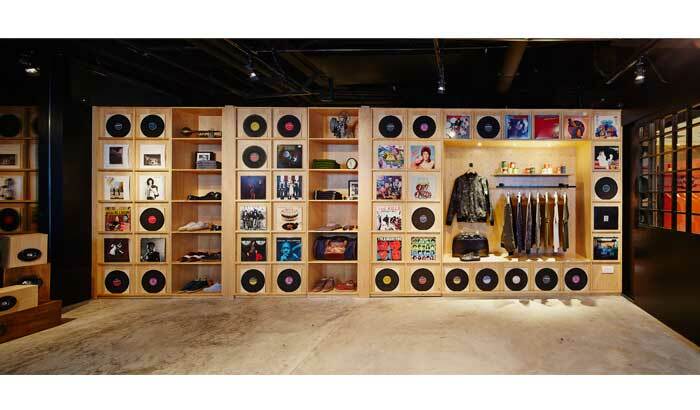 The window display, fashioned like a vinyl record store, is complete with a Marantz vinyl player to create customer interaction with the space. Adding on to the laidback English appeal, is a chain-suspended pinewood bench that sits charmingly on the shopfront. 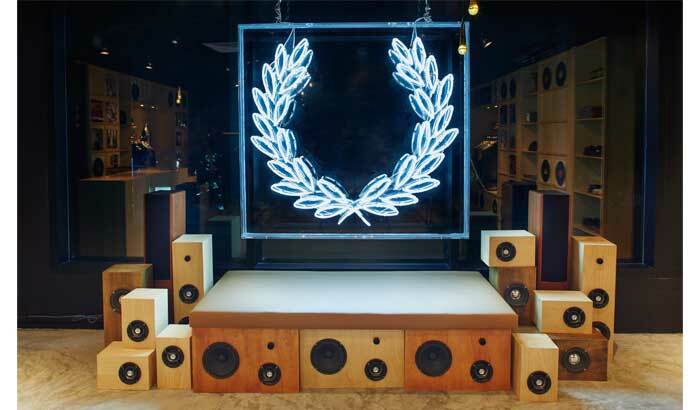 Inside the shop glows a 1.8 metre high Laurel Wreath logo made of neon light. 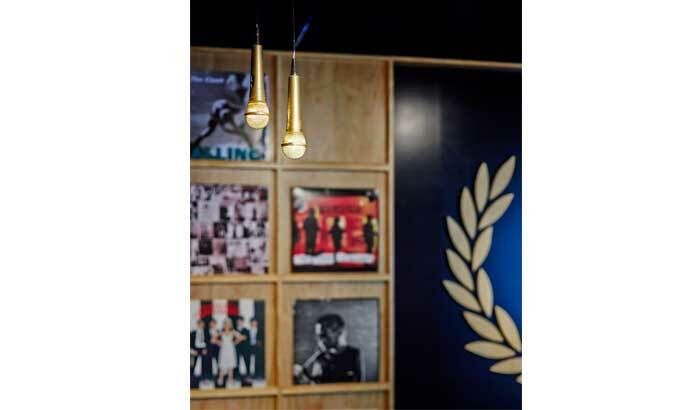 Custom-made, floor-to-ceiling modular product walls line both side walls of the retail space. 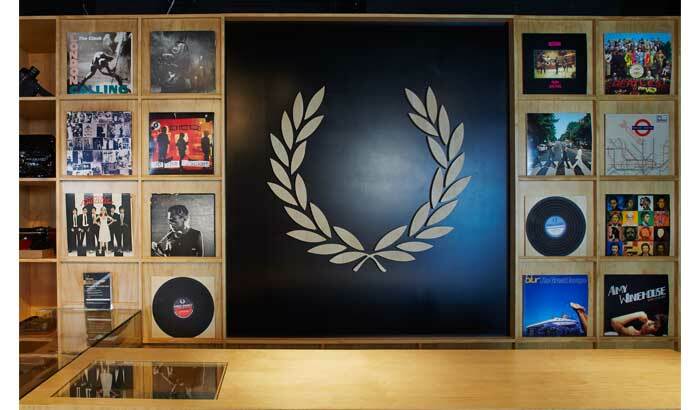 Modeled after record walls typically found in independent record stores, they house a total of 100 vinyl records in 12" format alongside Fred Perry products.